Welcome to TreadmillPros.com! If you’re thinking about buying a treadmill, but you’re not sure about what to buy or what features you want, you’ve come to the right place. We offer reviews of some of the best treadmills on the market and you will be able to compare them side by side to help you find one that best suits your needs. While we would love to test out every treadmill on the market, we don’t have the funds it would take to buy every treadmill made and test them out. Plus, where would we put them all? Instead, we’ve selected some of the best-known brands to test and review. Through the reviews and extensive buying guide, you should have all the information you need to select the best treadmill for your needs. A treadmill offers a great way to work out at home. You don’t have to miss days walking or running due to bad weather and having a treadmill at home allows you to workout anytime, day or night. ​This is our current list of the BEST treadmills on the market. Please feel free to compare and read more on each treadmill to help you decide on which one fits your needs. 0 - 10% Lifetime Frame Warranty. 1-Year Parts & Labor Warranty. 5" Backlit Display. Manual Incline 1-Year Motor Warranty. 90 Days Parts & Labor Warranty. Blue-Tinted LCD. Three incline positions ONE YEAR warranty on frame and Motor. LCD Display. Labor 1 Year 8 Built-In Programs. Exercising on a regular basis is one of the best ways to stay healthy. Unfortunately, like many people, you may not have the time to go to the gym because you’re busy with work and family obligations. Working out at home is the best option for you may have with busy family and work lives. Buying a treadmill, allows you to establish a regular exercise routine because you can set a time to exercise without having to take time away from your family to drive back and forth from the gym to workout. A treadmill works well because you can either walk or run on it and you don’t have to worry about stumbling over uneven surfaces. A treadmill has more give than concrete as well, so your body isn’t subjected to the same punishment as it would be by running or walking on hard surfaces like concrete or asphalt. ​This company makes some of the best treadmills on the market. You will get a complete workout by using the multiple features available on their treadmills. With speed and incline options, your time spent on these treadmills will show in how you look and feel. ​If you want to work out on a treadmill that not only gives you the best possible workout, but keeps the comfort of your body in mind, then a Sole treadmill is for you. While their treadmills offer multiple speed and incline options, they are also comfortable. ​If you simply want to work out and not worry having to learn how to work complicated gadgetry, a Precor treadmill is what you need. They offer your multiple options for varying your speed and incline, but they are easy to use and effective for working out. The high-definition touchscreen is just one element behind this decidedly modern treadmill. You will also want to keep in mind that when it comes to the best treadmill manufacturers, NordicTrack is at the top of the list for a great many people. The 7” control panels are standard with these treadmills, and they give you a number of different options to help you come up with a workout routine that fits your body, your goals, and your schedule. This treadmill is also backed by a strong warranty, and its ease-of-use is such that anyone can benefit from its functions. If you are looking for the best-selling treadmills of 2017, this is likely to be one of the first examples you will come across. This treadmill from Weslo has a space-saver design, which means you can fold it up and transport it as needed. Six personal trainer workouts are included, which should give you a good range of exercise programs to work with. The two-position incline is built for comfort, and it is just one element to this treadmill that explains its enduring popularity. The comfortable cushioning is also a nice feature to have. Setting up this treadmill is a breeze. The 9” display makes it easy to use the SOLE F80 for your exercise goals. At the same time, a tablet dock is included, which means you can catch up on Netflix or work while you jog. The 3.5 CHP motor ensures a treadmill that can meet a wide range of individuals and their needs. 10 preset programs are included with this machine, and you can also take advantage of the user-designed workouts. Don’t let the vast array of features intimidate you. Bluetooth connectivity is also included. This is a very easy treadmill to use, even if you’re a beginner. One thing that keeps a lot of people from investing in a treadmill is how difficult they think it will be to set up the treadmill. And if you have to move? Forget it. Not so with the Merax JK1603E. Any treadmill that is worth your time and money is a treadmill that will be easy to set up, easy to fold up, and easy to move to another location. On top of that, this treadmill features rolling wheels, a multi-function display, one of the lowest noise motors we have ever (not) heard, and solid cushioning for the ankle, back, and knee joints. When you go to look at treadmills, you will want to think about the features you will actually use and not get swayed by fancy gadgetry. If you’re buying a treadmill for running, you also want to examine durability and stability. There are many factors to consider when buying your treadmill. Here are five important considerations you need to take into account before you go treadmill shopping online or in person. Treadmills run from basic models with very few settings and simple consoles to others that offer multiple speed and incline settings, plus the ability to customize workout routines for your needs. Some even offer fitness programs using iPhone and Android technology to help track your fitness progression. Before shopping for a treadmill, consider what you are going to use it for and what features you really will use. By doing this, you can focus on the models with the options most useful to you. It will also help you save money by keeping your focus on what you actually need. If you live in a small apartment or house, space is going to be an important factor in your treadmill buying decision. You don’t want to inconvenience yourself by buying a bulky machine that takes up too much room in your bedroom or you living area. A treadmill that is collapsible in order to save space is what you need when you have smaller living quarters. Otherwise, you will be unhappy with your purchase and less likely to stick to your workout routine. Treadmills can be expensive, so consider where you are placing it before you bring one home. You can spend a few hundred dollars on a treadmill or even a few thousand dollars. You will want to look at your budget to see what you can afford before you start looking at treadmills. It is easy to get caught up in the gadgets and features that are available on many home models, but those options add to the cost of the equipment. Decide what you are going to use it for and think about the features you will never use and then make your purchasing decision based on that. Don’t buy one with features you will never use. Before committing to a treadmill, go try it out. You will want to see how easy it is to use, especially how difficult getting off and on it may be. If you plan on running on it, wear your workout gear and test it out for a few minutes. You will want to see how well it will hold up to long-term usage, if it feels comfortable on your feet and legs when you run and if it has the settings you will need to advance with you as you get in better shape. Also examine the treadmill’s safety features. If you get your treadmill home and it breaks down on you, you don’t want to get stuck with an expense dust collector. Check out the manufacturer’s warranty before you buy your equipment and, if possible, see if you can get an extended warranty in case you have it awhile and then it breaks down. If the warranty is only for a few months, you might want to try another model or buy a brand that offers a replacement warranty if their equipment does break down. Anything could go wrong with your treadmill and you will want to be covered. ​Not all treadmills are equal and it is important to compare them feature by feature to find the best one for your workout needs. The prices range from just a few hundred dollars to a few thousand dollars and you will want to make a wise investment. Here are a few treadmill brands that you will want to consider when shopping for a treadmill to use in your home. Sole makes treadmills for home use as well as light commercial use. Some of their models can be expensive, costing about $3000 for a home model. This brand does have space saving models that fold up when they are not in use. Most of the Sole models feature wide surfaces, making them comfortable for running. 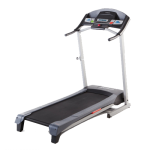 You can select from Sole styles that incline and they have variable speed settings on most of their treadmills. All models have a bright LCD display console as well. ​Pros - ​Space saving models, comfortable surfaces, heavy duty motors. ​Cons - ​Expensive, display is not a touch screen, cushioning is not customizable. ProForm makes several treadmill models for home use. You can choose from a wide range of options, including multiple speed and workout options, the ability to incline at multiple levels or if you want a basic machine, they have those as well. They have extra long decks to make your running or walking workout more comfortable for you. Some of their models decline as well as incline to vary your run or walk. Each of their treadmills is iFit compatible, which is a program you can customize for your routine. ​Pros - ​​Decline and incline features, iFit compatible, long decks. ​Cons - ​​No electronics warranty, non-hydraulic lift. If you are looking for a treadmill while on a limited budget, a Weslo treadmill could be a perfect fit. They are inexpensive, but offer the features you find in more expensive models. They feature incline capabilities on their models, though it is a manual incline. You monitor your heart rate and a racetrack display so you can monitor your progress on a 1/4 racetrack as your walk or run. They are also made with a layer of cushioning on the deck for comfortable running or walking. ​Pros - ​​​Incline feature, inexpensive, heart rate monitoring. ​Cons - ​​​Non-touch screen display, manual incline adjustments, 90 day warranty on parts and labor. Horizon has a good selection of treadmills suitable for use at home. They even have models designed for larger people who want to work out and lose weight. Their T303 model accepts up to 350 pounds and it has room for the items you need to have with you on the treadmill. There are smaller Horizon treadmills that fold for easy storage. Most models offer iPod docking built in so you can listen to music as you workout. Some even come in with a built-in fan. ​Pros - ​​​Adjustable cushioning on decks, high weight limits, durable. ​Cons - ​​​No touch screen, no electronics warranty, limited heart monitoring. Precor treadmills are one of the elite names in the treadmill industry. If you want a treadmill that will let you customize your workouts by adjusting the speed, incline and track your heart rate at the touch of a button, Precor has the machines you want. You can minimize the effects of walking or running on their treadmills because they have an impact control feature that adjusts to your weight. They have multiple programs to vary your workouts to help you get in shape and lose weight. ​Pros - ​​​Adjustable impact control, customizable programs, telemetry heart monitoring. ​Cons - ​​​Can be pricey, no touch controls on some models.